Making weekly flights from Colorado to California, I represented the firm on-site during the design-build process. This included OEM meetings and coordinating with the GC (Hensel Phelps) and documentation. Collaborating with Novum Structures was crucial as there was nothing conventional about the lobby atrium. The project won the Novum Project of the Year. 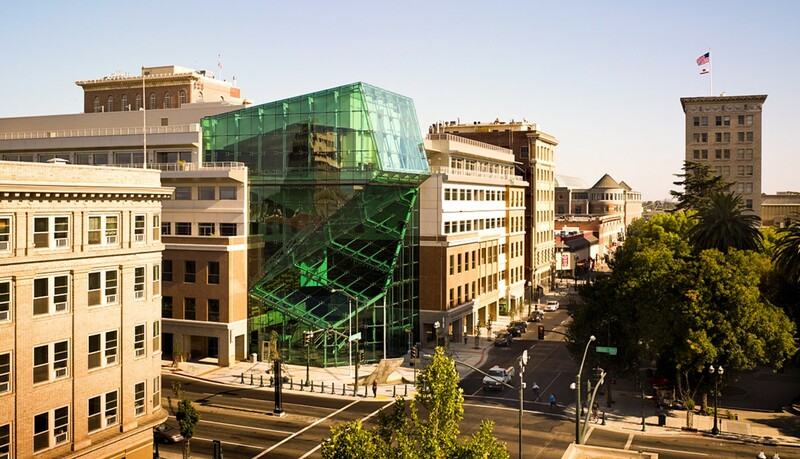 The San Joaquin County Administration Building Consolidates administrative functions and establishes a strong civic identity for the county government. 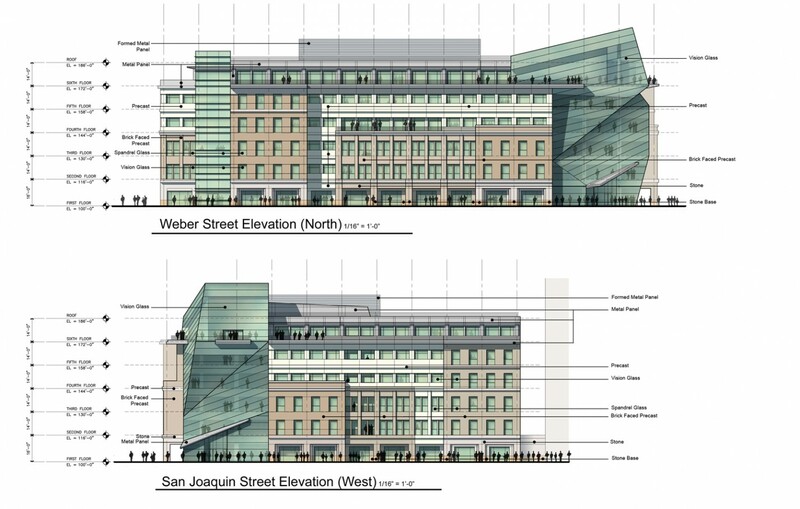 The building shows promise in serving as a catalyst for revitalization in the downtown Stockton area with an urban design that increases pedestrian traffic. 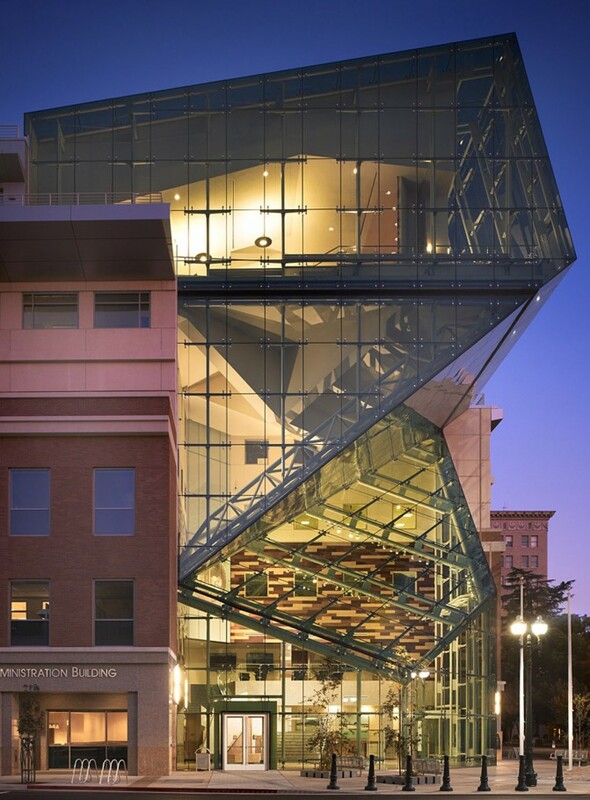 The energy-efficient building has achieved LEED Gold certification. The image of the building is consistent with civic architecture, and provides a symbolic gesture of what a public facility should be. 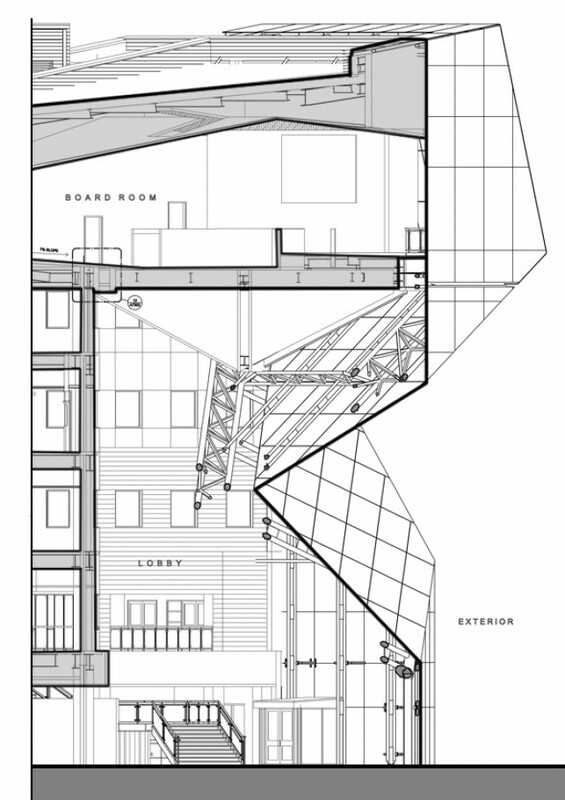 The glass atrium at the building entry folds inward, drawing the visitor into the gracious lobby. The lightness of the atrium also symbolizes open and transparent government, providing a welcoming approach to the visitor. 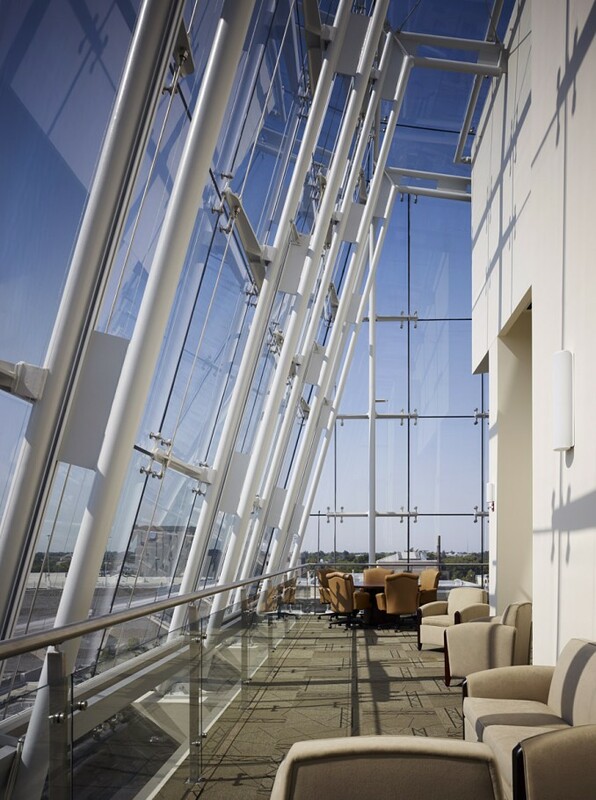 The monumentality of the atrium marks a sense of place and serves as a beacon of light, defining a destination. Upon entering the building the visitor is greeted by a palate of materials that symbolize strength and permanence. Light, cool colored granites reflect the Sierras and a rich and intricate pattern of multi-colored granites on the floor are characteristic of civic architecture. The open plan of the lobby and the organization of departments accessible to the public are clearly visible to the observer providing easy access to the occasional visitor. The predominant materials of the facade include a stone base, architectural precast with cast-in brick veneer, painted aluminum panels and a high performance window system. The colors of the exterior pallet are consistent with the context of the city and include two tones of brick, buff and beige precast and granites that reflect the white-gray of the sierras, and the earth colors of the Delta soils. Upon entering the main lobby, the visitor is greeted by an abundance of natural light illuminating a dramatic and iconic soaring interior. 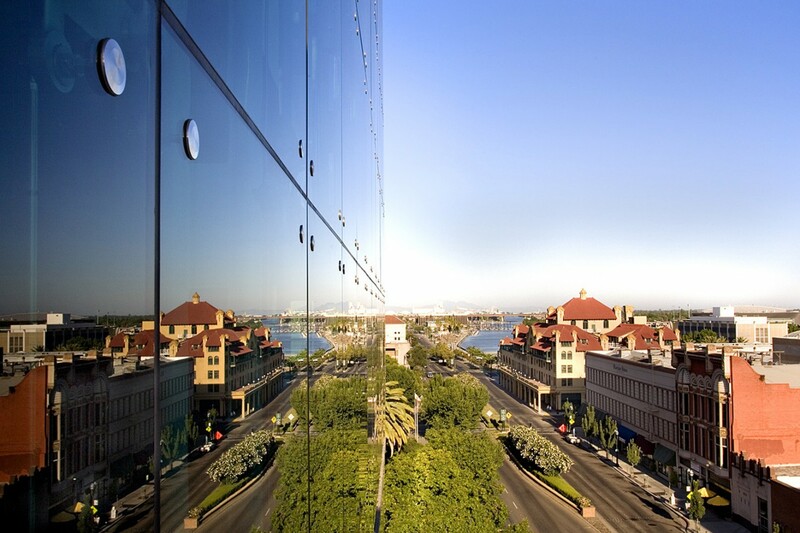 The polished granite floor interprets the landscape of the Delta and the county in a weave of color and pattern. The artistic nature of the floor compliments the art niches created within the lobby. Warm tones of wood paneling, coupled with a stone base wrap the walls. Visible from the entry is a monumental stair that leads to functions on the second and third levels. The openness of the lobby allows easy way- finding to the user, providing a customer friendly approach.